Inspired by the cliff-side villages of Anasazi Indians, Co Op Canyon is a terraced urban oasis full of vertical gardens and lush spaces that aims to create a holistic, community-centered, sustainable city block. Designed by LA-based architecture and design firm, Standard for the Re:Vision Dallas competition, the canyon harvests enough rainwater, solar energy, and agriculture to completely sustain its 1,000 residents. 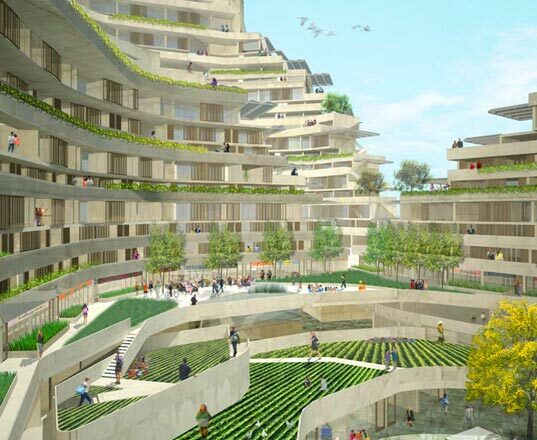 Standard‘s design for the Dallas sustainable block was inspired by the cliff dwellings of the Anasazi Indians and their strong connection to nature. The structure resembles a terraced canyon with housing units tucked into the canyon wall. On the canyon floor, community gardens are ripe with organic fruits and vegetables that residents grow to use themselves or exchange within the others as part of a cooperative community. Each residential unit also has its own garden and yard space. The co-op is not only centered around the production of food, but also on community, with the aid of a community kitchen, open space, picnic areas, child care, fitness center and retail space. The community kitchen is the center of the co-op and functions as a wellness center, providing cooking classes, food tastings, and nutritional education. Retail space and small live/work units allow some of the residents to remain local for their work and shopping. 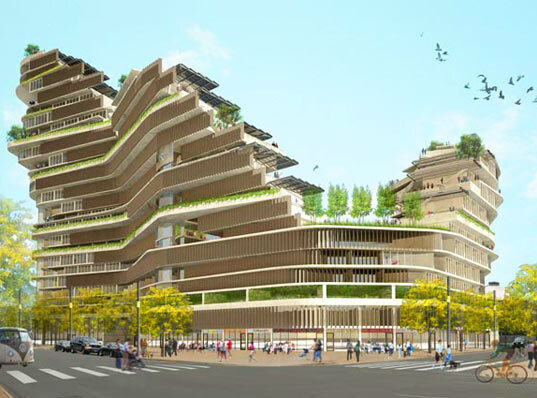 The sustainable city block can house up to 1,000 people, and in addition to its strong community aspects it is a zero carbon and structure that wastes no water. On-site power from solar panels will meet the energy demands of the community, while waste and rain water will be collected for use in landscape irrigation. Overall Co Op Canyon is a well thought out community with an appealing design – Standard has clearly thought outside of the box with their entry. The Re:Vision Dallas challenged architects and designers to create a residential complex within one city block that could live up to a LEED-ND rating, carbon neutrality, zero waste water and no run-off, all while reducing construction waste by 75%. The city block has already been set aside and the winners of the competition will have a chance to sell their idea to the Dallas developers. 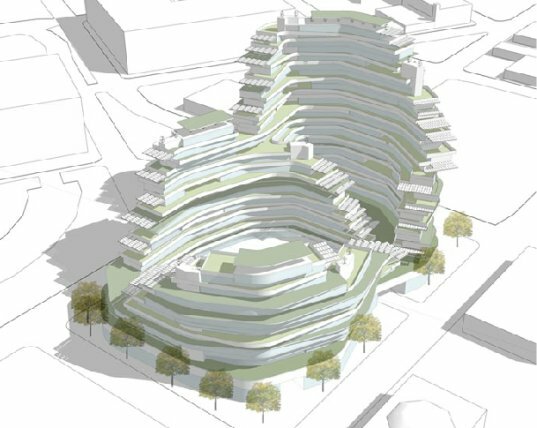 Apart from anything that Daniel Libeskind ever designed, this has got to be one of the worst looking projects ever.